Manchester Thunder earned a 62-47 victory over new franchise London Pulse on Monday. The victory means Thunder remain unbeaten so far this Vitality Netball Superleague season, but it was not their most fluid performance of the new term. After previous wins over Saracens Mavericks and Strathclyde Sirens, and a much greater level of experience than their opponents, Thunder had the potential to make it an uncomfortable night for their visitors. They started strongly enough, capitalising on Pulse's errors, with player of the match Caroline O'Hanlon and the returning Liana Leota back together in their attack. Pulse head coach Te Aroha Keenan resisted the temptation to make wholesale changes after their error-strewn start and instead implored her charges to turn things around on their own. The visiting outfit recovered well and replicated the type of determination that they had shown against the defending champions last week. The result was a 33-28 difference at the break in Thunder's favour. 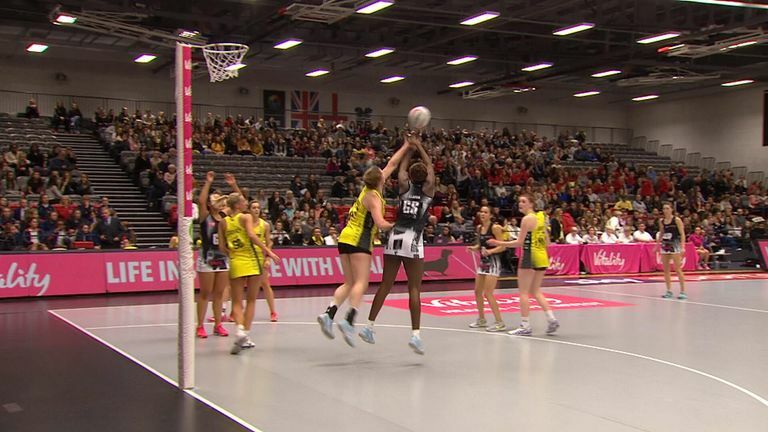 The Black and Yellows continued to be pressured as the third quarter commenced but their decisive move arrived in the latter stages as new shooter Ellie Cardwell found her form in front of the Vitality England Roses head coach Tracey Neville. 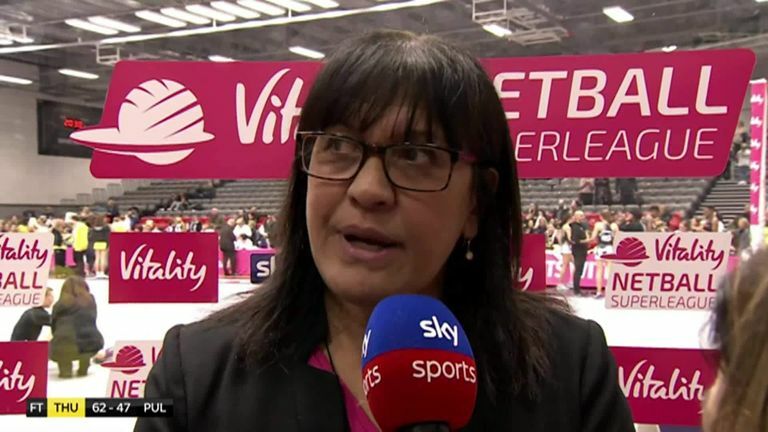 Neville was eager to keep an eye on a number of players, Cardwell being one of them, with April's selection for the Netball World Cup in mind. The sight of Pulse's Ama Agbeze taking a tumble in the third won't have been a nice one for Neville, though - Agbeze played on but didn't return for the final quarter. On first glance, it didn't look to be overly serious but all Pulse and Roses fans will be eagerly awaiting an update from the defender herself. The final 15 minutes ultimately saw the encounter race away from Pulse as the Black and Yellows ploughed on to make sure that their unbeaten record remains. Elsewhere, Saracens Mavericks also accelerated away from their opponents - Celtic Dragons - in the third quarter of their Round 4 match. A five-goal half-time lead became 15 with the same number of minutes left to play and a 66-44 victory was the end result for the visitors to Wales. "We'll take that win, it was a hard slog in the first half," said their director of netball Kat Ratnapala after the match. "Second quarter was much better with much more attention to detail but still there was a lot of building to do. The third quarter we can out firing and righted a few wrongs. "Standout performances in Kadeen Corbin, missing just one goal in the game [21/22], and George Fisher was also outstanding. I thought that she held her own in that circle and really demanded that space. "All in all really pleased with the team performance, a lot to building to do and a lot of work to do before Wasps and then Bath in quick succession but we're ready for them so bring it on!"